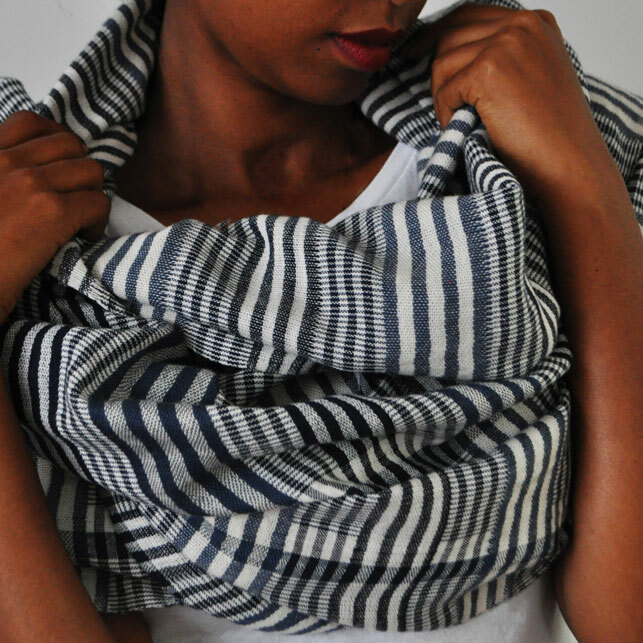 Double layered cotton Fairtrade shawl from Ethiopia. 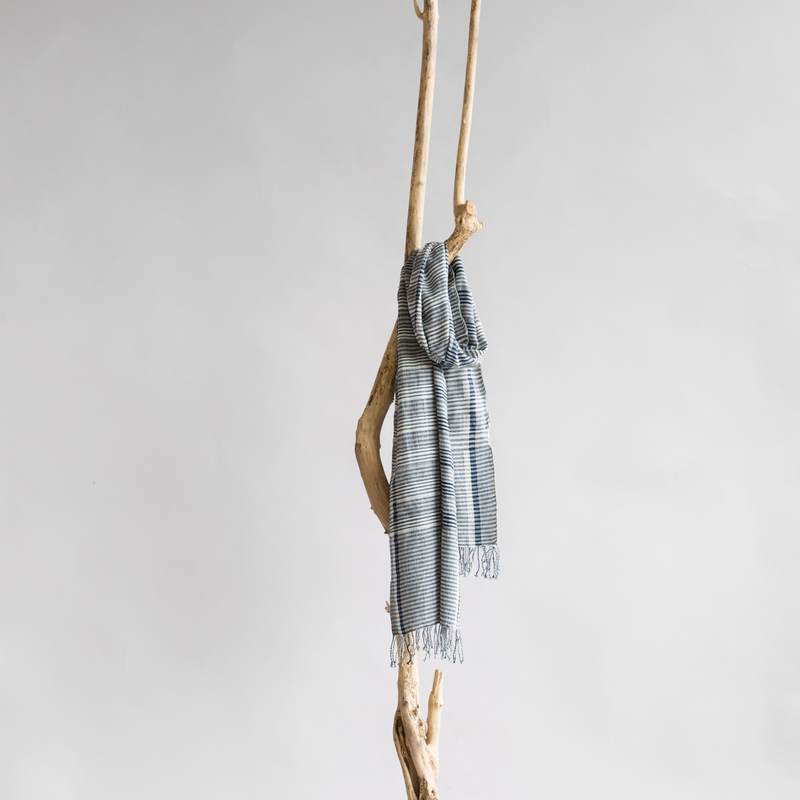 What makes this great cotton shawl really unique is that it is double layered. The artisans sealed the two layers together to create a lovely look and feel. The shawl is handcrafted on a 4-harness loom, allowing for more intricate designs with opposite patterns on each side of the fabric. 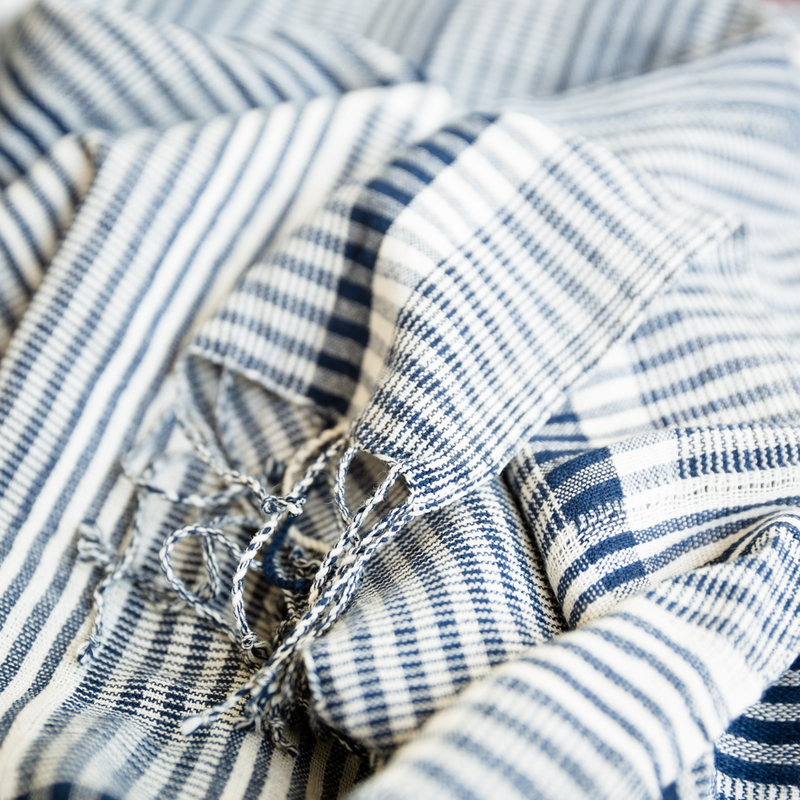 This piece is handwoven by artisans working with Sabahar, a Fairtrade organisation in Addis Abeba.